Your solar system purchase was a major investment. Just like your other large investments, regular servicing is essential. Annual servicing and cleaning is recommended to ensure that your system is operating at peak performance. With a professional Halcol Energy Service & Clean you can be sure your investment is working its hardest all year round! Our solar maintenance service includes an annual inspection, cleaning solar panels and monitoring your solar system by a fully qualified and experienced CEC accredited electrician. Why use our professional service vs doing it yourself? We do not recommend the risk of climbing onto your roof to clean the system yourself. 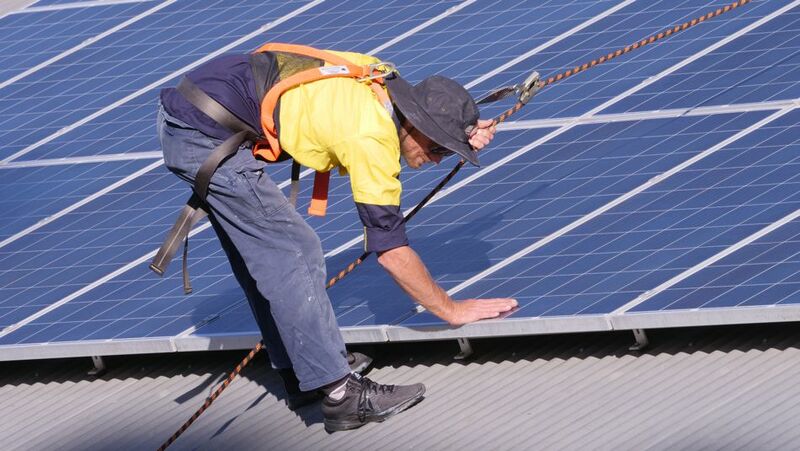 Cleaning your solar power system without proper safety equipment is a hazard to yourself and risk damaging the solar panels. Our certified technicians have served thousands of properties across the Sunshine Coast so you can be sure they will do a professional and reliable job. Halcol Energy are pleased to offer our valued, existing customers an amazing deal with exclusive discounts on this examination and overhaul check. The perfect opportunity if you want to keep your Solar Power system in top condition. Book your service today by calling (07) 5438 8133.